To return to the Page : Click Here ! All Naviter instruments are OK and not affected by this issue. Please always download the latest firmware to keep your Oudie or Hyper up to date. OUDIE 4 comes in 2 versions : Basic and Pro - the hardware is the same in both cases ! BASIC : This version is for recreational pilots who want a advanced flight instrument but don't need extended functions that Comp pilots use or fully customisable data fields. It has all the hardware functionality of the full version but is limited in some areas by the factory installed software. It has 57 "NavBoxes" or info display outputs. It has a factory pre-set configuration and some settings modes are disabled. It has full 3D airspace warning like the full version, but misses out on the Competition and FAI triangle features. The basic can be upgraded to a full version by online purchase of a software upgrade. Pro : This version is for Competition and record chasing pilots. It has 89 "NavBoxes" or info display outputs.Available new or as a later software upgrade of the Basic. Features highly detailed user settings and configuration menu's (ie fully customisable) and allows for Competition and FAI Triangle functions. Hyper's pocket size and advanced features make it ideal for your daily flying activities including hike-and-fly adventures. 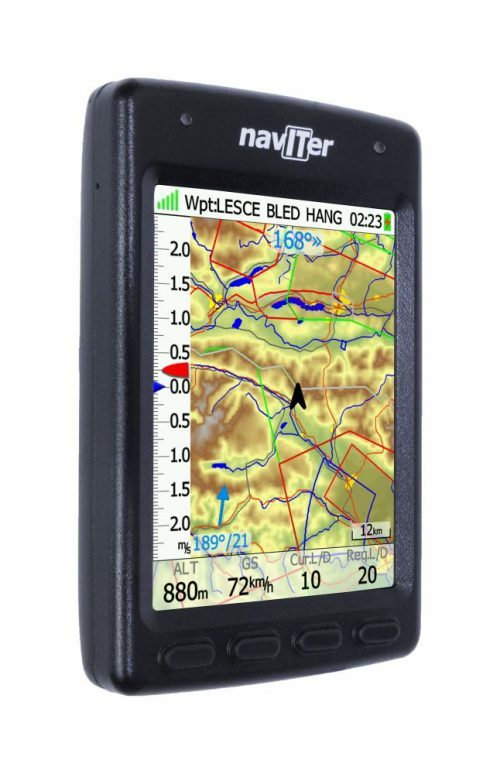 It will help you navigate simple routes and around complex airspace and also record all the details of your flight. For more information see the manufacturers web site : Click Here ! To compare all models : Click Here !